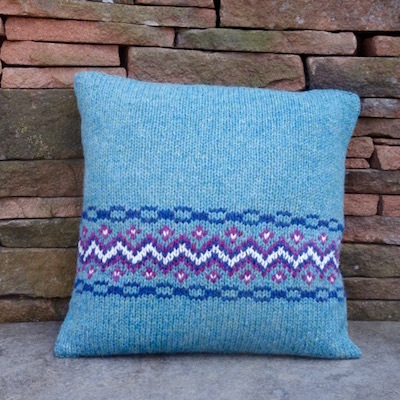 This simple Fair Isle Cushion is knitted with just three colours in addition to the main shade, as a single stripe. 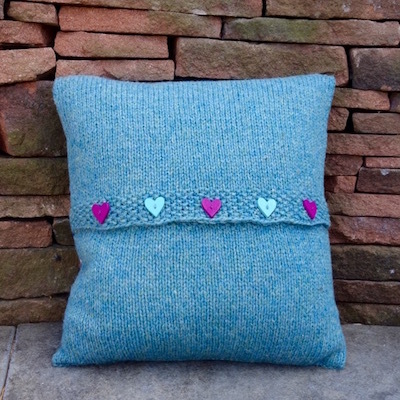 The cushion is patterned on the front and plain on the back, with a buttoned opening. It is knitted in a single piece. Five buttons are included in this kit to complete the project. 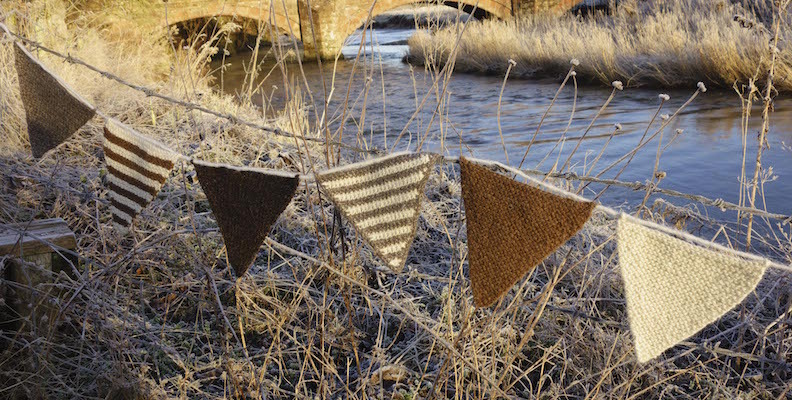 For those unfamiliar with fair isle, some helpful hints are included in the pattern! 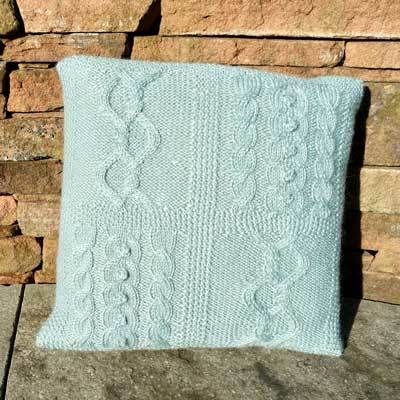 To complete the project you will require one pair of 4 mm straight needles and a 38 cm (15 inch) square cushion pad.